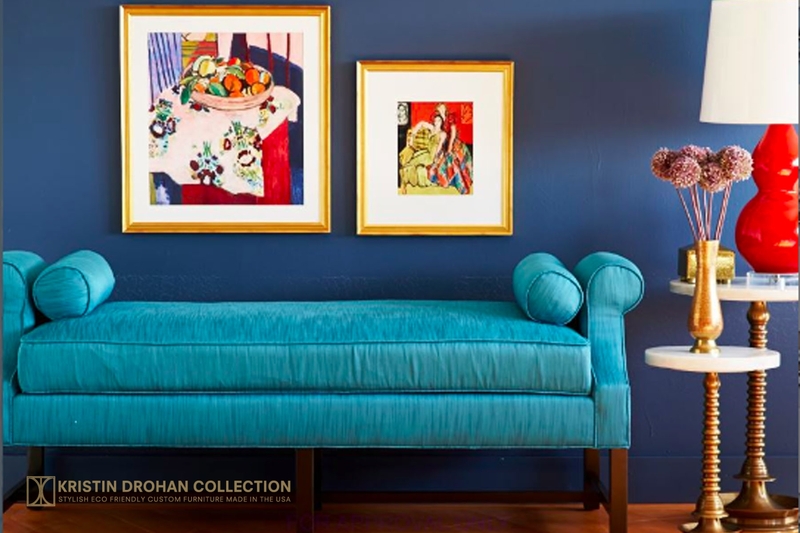 Kristin Drohan met with me to design 4 rooms in my house and as the cash flow allowed, we completed each room. She designed the living room, music room, small tv room and dining room. Each room is not only functional for wear and tear for growing children, but absolutely gorgeous. She took her time with me and helped me choose different color schemes by giving me many choices in designs and colors. 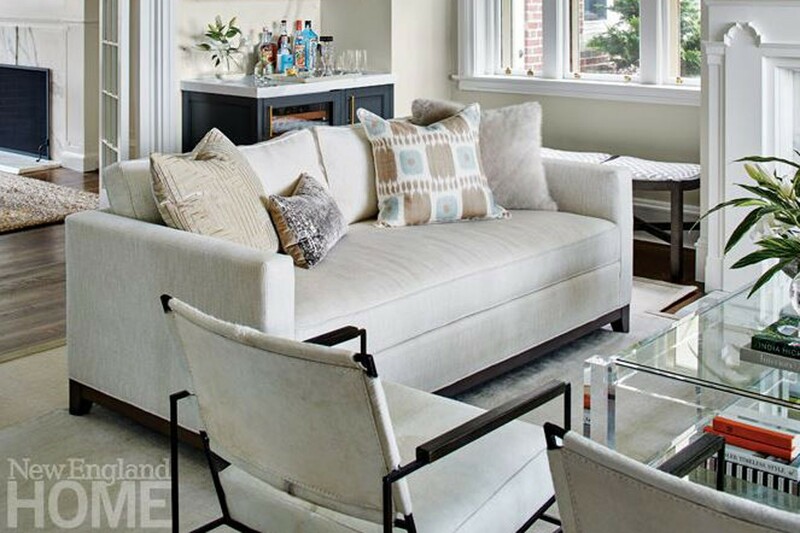 She custom designed the sofa’s, chairs, ottomans and sectionals. She also, helped me with the size and color for the custom round table in our dining room and round table in our kitchen. All pieces are timeless and will give us many years of joy. We highly recommend her for her talent, patience and expertise. We have many more projects we need her help with and will be calling her soon! Kristin Drohan did excellent work with our living and dining rooms. She carefully evaluated our space and listened to our needs. Kristin also custom designed new furniture for us that her company fabricated. The sofas and dining chairs exceeded our expectations, especially the reclaimed wood cocktail table! Very cool. Her furniture and design work is top-notch…very high quality. Kristin has fabulous taste and a real eye for current trends! We would definitely hire Kristin Drohan again. Kristin is first person we go to when we want to transform a room into a showroom. Walking into a room designed by Kristin is like walking into a magazine.Her exceptional eye for design, color and functionality transformed our empty formal living room into a Library; creating the perfect place for hosting cocktails on a Friday night or sitting with a hot cup of coffee and good book the next morning. We called on Kristin again when the time came to update our bedroom. 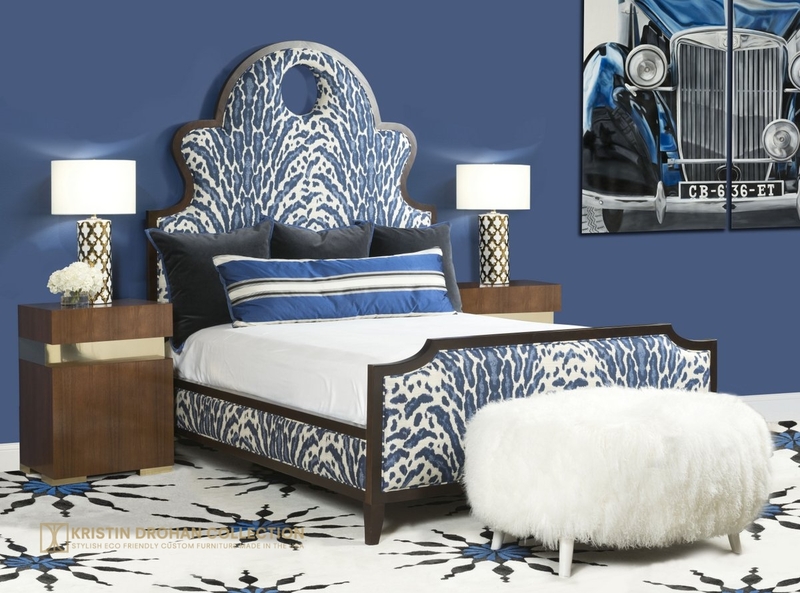 Her ability to combine our existing traditional furniture with stylish modern pieces from her own furniture collection turned our bedroom into a beautiful relaxing retreat. We own several pieces from Kristin’s furniture collection. These pieces are sophisticated, comfortable and are made with high quality, eco-friendly materials that are durable enough to withstand our four kids. Kristin did a great job working within our budget, re-purposing when necessary, while never compromising on style. 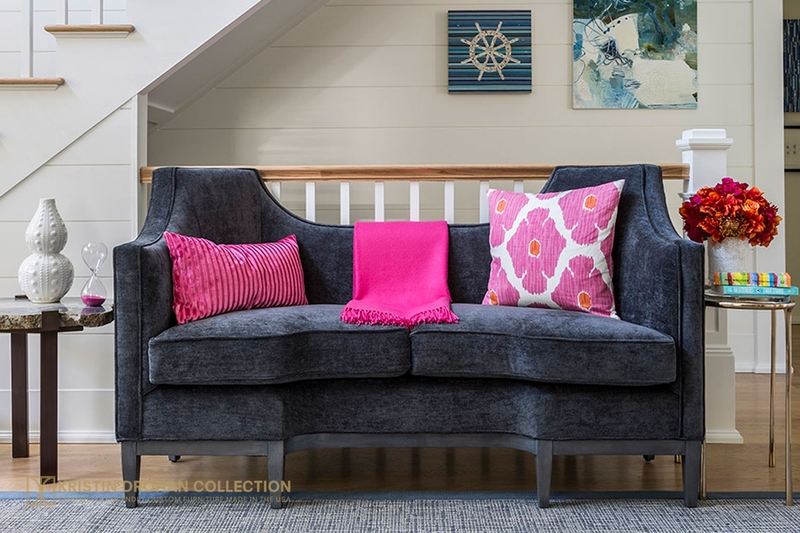 If you’re looking for sophistication and style combined with functionality for an active family then I highly recommend contacting Kristin when ready to decorate your next room or house. You’ll also have fun along the way. Kristin is an incredibly talented designer, who truly listens to her clients needs. She designed our entire basement and worked closely with the contractor to transform our unfinished space into a showcase entertainment center that is our favorite family gathering spot. She also has a great eye for color, and has helped us update our entire home without breaking the bank. I wish we had hired her when we first moved into our home to save us from bad decisions that we later had to “undo” with Kristin’s help. We hired Kristin to help us create a relaxing, serene master bedroom. She did a phenomenal job and was able to translate our desires into the perfect space. We loved what she did so much that we then contracted with her to design our entry way and living room. Again, Kristin delivered spaces that completely work for our family and wow everyone that come into our home. I hired Kristin to help design my family room space in our previous home and she transformed it into a room that looked like it belonged in a magazine! I was so pleased with her design and plan, it was absolutely beautiful and exactly what I was looking for. She even used a few pieces of our old furniture in her plan to go with the new items. A few years after she completed this space we put our house on the market and received many compliments on our family room. I think it was one of the reasons our house sold so quickly. The items that I purchased through Kristin now work beautifully in our new home and she helped me order gorgeous lighting for several rooms in this house. I get so many compliments and many of my friends want to hire her now too! I highly recommend her if you’re looking to hire an interior designer. I hired Kristin to help me redecorate my family room, formal living room. It was a delightful experience from start to finish. Her upbeat personality and incredible eye for design are complimented by her quick-wit, professionalism, and attention to detail.She was an exceptional listener. Make some thoughtful ‘out-of-the-box’ suggestions, that turned into key design statements in my two rooms. She also was committed to re-using/re-purposing some of our existing furniture that needed to used due to our budget. If she were still living locally, I would have had the pleasure of letting her redo the rest of the rooms in our house.